This version has thumbnails support, custom icon and will NOT recreate database on every router reboot so you can resume movies later from where you left them last time! 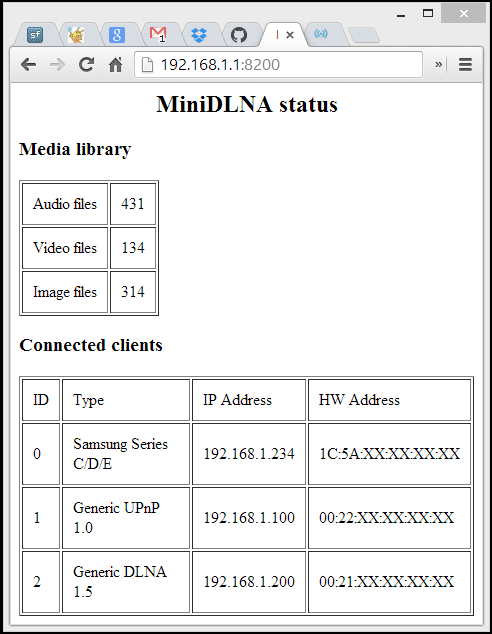 6 - Go to www.asusrouter.com:8200 and see how minidlna is creating db, press refresh on your browser for progress. Please share feedback with your tv model!